Elite, Call of Duty's answer to stat tracking, community building, help guides and original videos, remains mostly unusable nearly two days after the service's official launch. 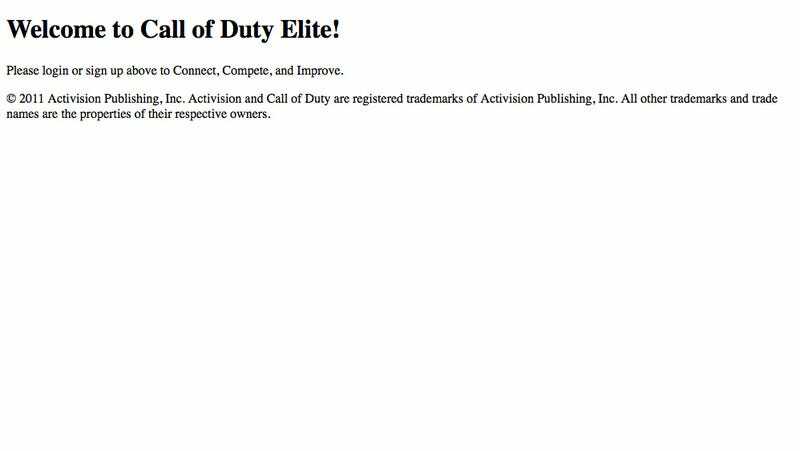 But teams are working around the clock on fixing the problems, Activision tells Kotaku. "We are being challenged by a response beyond any of our expectations on day one," said Activision Digital vice president Jamie Berger. "But we're making good headway." Berger said one of the biggest issues is the flood of new users signing up for the service. The developers today were able to greatly increase the number of people who can register at a time for both the free and premium versions of the service, something they hope will have a big impact on the service's stability. "This is like that terrible birthing pains any new online service goes through," Berger added. While the service is down, the game itself appears unaffected.